It comes complete with all hardware and parts needed to install your aftermarket stereo in any of the vehicles listed below. 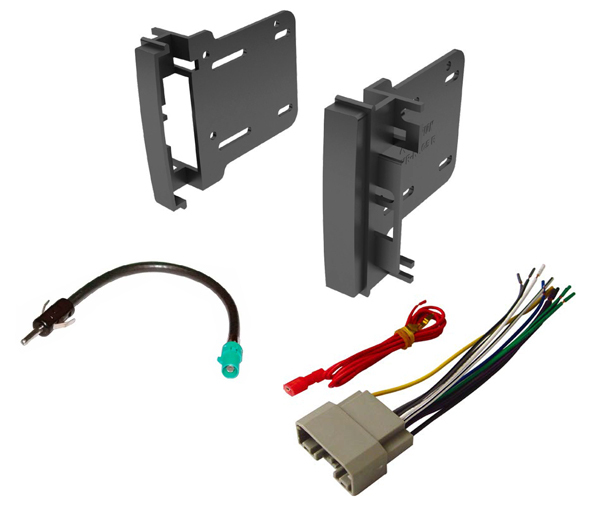 When replacing your factory radio with an after-market car stereo, a wire harness is a must for a quick installation. It eliminates the need to cut your OE radio plug helping to maintain your car's value. After connecting it, your install is simple as the wires will color-match and easily connect to the after market stereo. Because you don't have to cut your OE radio plug off, using a wiring harness allows you to reinstall your factory receiver at a later time. Because the factory wiring harness does not have a switched 12V power wire (EIA Color: Red), you will need to run the included red wire from the fuse box to the aftermarket radio.